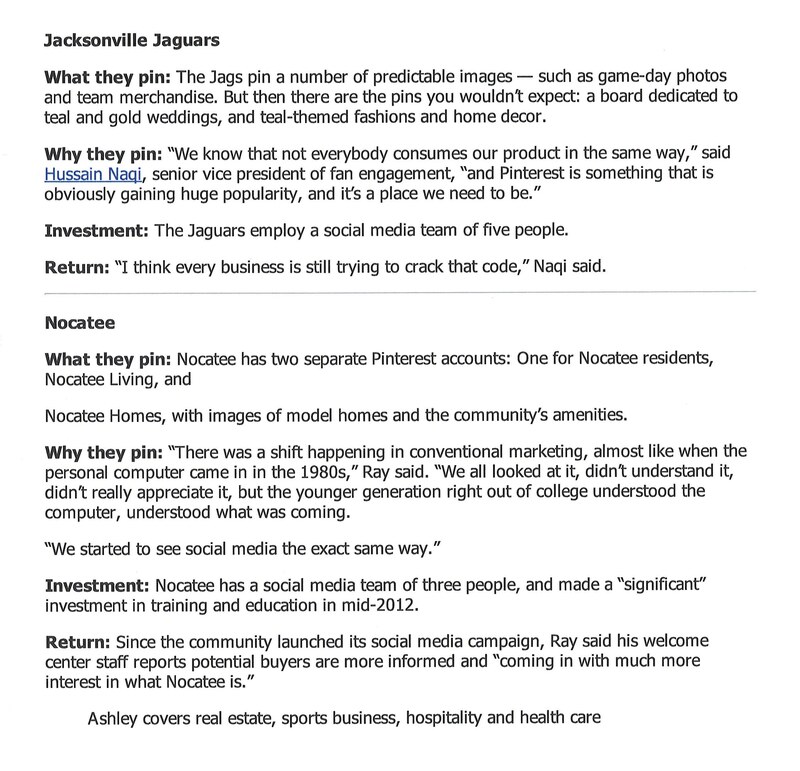 The Jacksonville Business Journal reported on Nocatee's strong social media presence and the use of Pinterest to showcase the Nocatee Lifestyle. 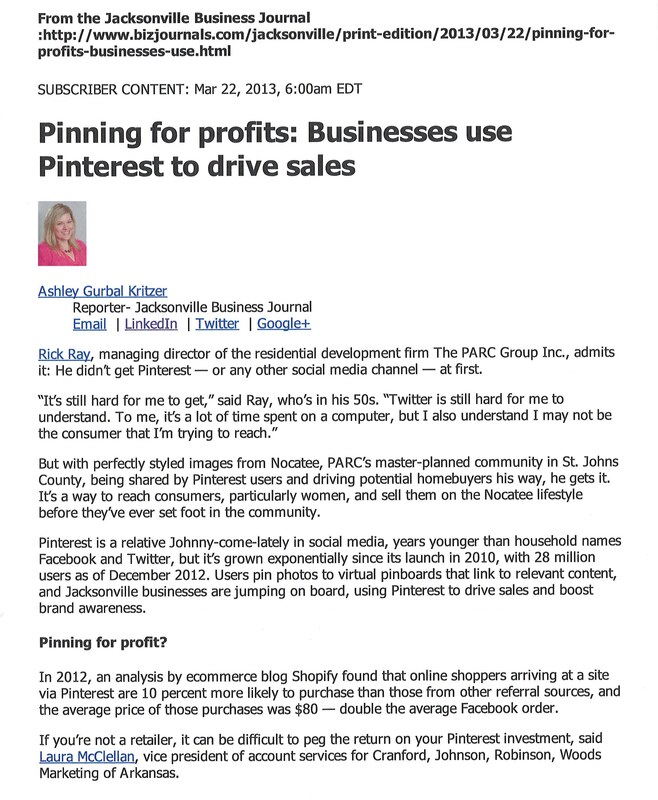 Make sure you are following 'Nocatee Homes' on Pinterest. 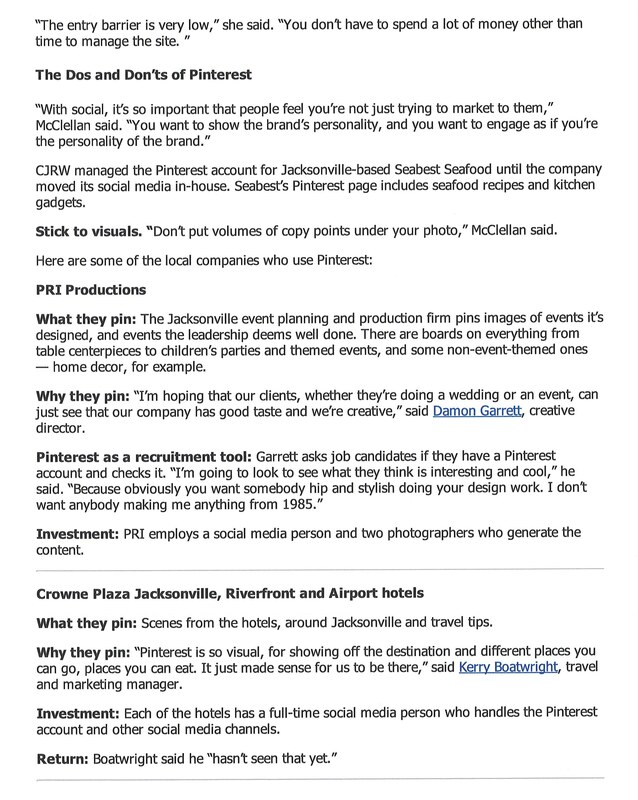 See the Jax Biz Journal online report here: http://buff.ly/11pIN2t.